Animal Planet is clearly trying to capitalize on the current trend of zombie TV dramas that also includes The Walking Dead and Z Nation. And while it’s a bit odd for a channel dedicated to celebrating animal life to center a series on the animal undead, that’s far from the strangest thing about this. 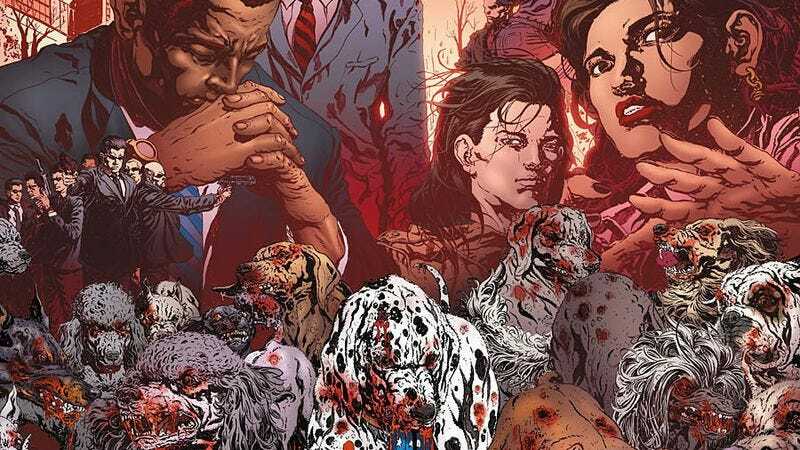 In the comic, the humans battling Louisiana’s undead animals include a 10-year-old cancer survivor; a member of a death metal band; an exotic dancer who is also a Puerto Rican bruja/witch; a racist ex-Army Ranger survivalist; and President Barack Obama. In a statement, Ortega gushed, “The timing for The Other Dead series could not be more perfect. Zombie animal meets Animal Planet? Sounds like we have some serious undead fun ahead of us.” Meanwhile Animal Planet VP of Development Kurt Tondorf further explained, “Our stylistic and creative ambitions as a network happily found their echo in the pages of The Other Dead.” Because of course, the only logical follow-up to the channel’s whimsical hit Meerkat Manor is the story of zombie animals ravaging a post-Katrina landscape and hunting down Barack Obama. It’s unclear how much of the original plot the series will retain and if it will be live action or animated. But perhaps the biggest question is whether The Other Dead will air before or after Animal Planet’s baby animal showcase, Too Cute.